Set up in the suburbs of Ploiesti, Romania, the company flourished and grew within a mere three years, expanding from just two production lines to what is today an award wininng, high turn-over manufacturer without incredible ability of exceeding a monthly turn-over of 1.000.000 garments, and all with a turn-around time of only two weeks ! 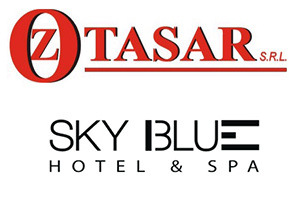 Oz Tasar understands that the succes of the company is built not only on brilliant ideas but also on its staff, both management and shop floor personnel. With this in mind the working environment has a full range of facilities to meet all the needs of its staff. Thus on the 156.000 square meters of land that houses the 21.000 square meters of land that one will find a full complement of washrooms, shower rooms, changing rooms, canteens, healh & safety personnel with their own offices, and 24 hour on-site medical staff & medical rooms, all designed to ensure that the2.700 staff have all their needs met.